Twenty-five readings from literature in anticipation of the coming Christ. In December 2015 Missy Andrews published a series of daily blog posts, using favorite poems and passages from some of the best authors of the Western tradition to meditate on a wealth of ideas related to the advent of Christ. With the encouragement of our readers, we have updated those reflections and bound them together in this print edition as a keepsake that can now be preserved and reused in your home year after year. Christmas remains one of the single most celebrated days of the Christian calendar. Yet cultural attempts to memorialize this, while full of festival fun and glitz, often fall short of the mark, sometimes making profane what is holy. In an attempt to reclaim the season from commercialism and teach our children to honor its true significance, my husband and I began our advent tradition some twenty years ago. Crafting a calendar out of felt and hot glue, we pieced together the prophecies and narrative foreshadowings of the Messiah from the Old Testament passages. Each evening, we’d settle the kids down before lit candles with some warm holiday beverage to read the next text, and before too long, they had learned that the “right” answer to all of the advent questions was “Jesus!” I can still hear their little voices calling it out now, clear bells ringing in the season. These days, though the old calendar hangs in the same place on our living room wall, Joseph’s coat lacks a few of its colorful stripes and the Israelites’ memorial in the Jordan is short a few stones. Still the kids, now grown, anticipate our advent tradition. Teenagers and adults, they have moved past flannelgrams to philosophy and are prepared to think more deeply about the significance of the season. Considering our family love affair with literature, I naturally turned to the classics to satisfy this need. There I discovered a broad treasury of poetic meditations on the subject from some of the Western canon’s most gifted authors. I offer this to you, a Christmas gift, in hope that the profound implications of the incarnation would captivate your family, too. May we together be left with the name of Jesus on our lips, raising our voices among the great cloud of witnesses to proclaim the Advent “answer,” clear bells ringing in the season. 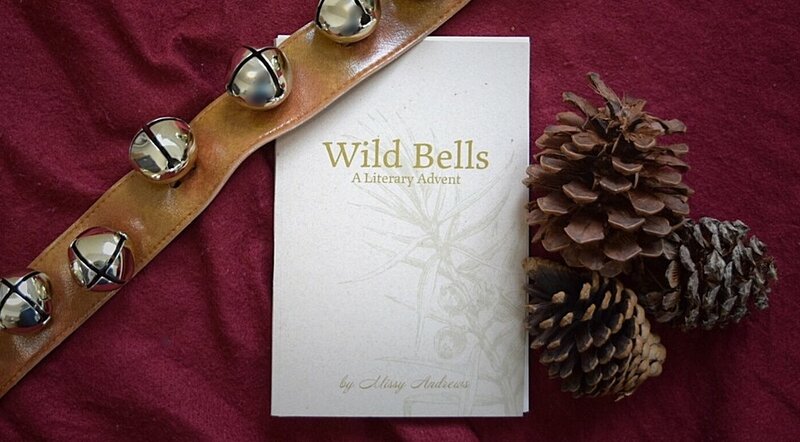 Fill out the form below to be notified when Wild Bells is back in stock.